a year of connecting more closely with the communities we serve. 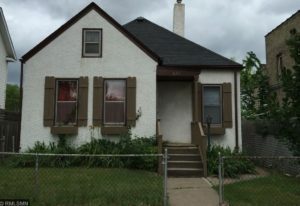 A hallmark of the year was the launch of new initiatives to help expand and support homeownership in the Twin Cities. We expanded our down payment program with the introduction of Project Reinvest, making down payment assistance available to more homebuyers. 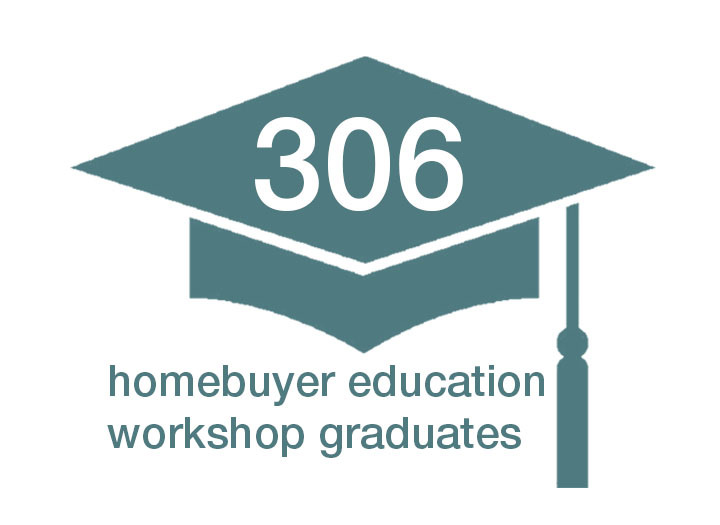 Our Homeownership Readiness financial capabilities program helps families get started on their homeownership journey by focusing on credit and mortgage readiness. 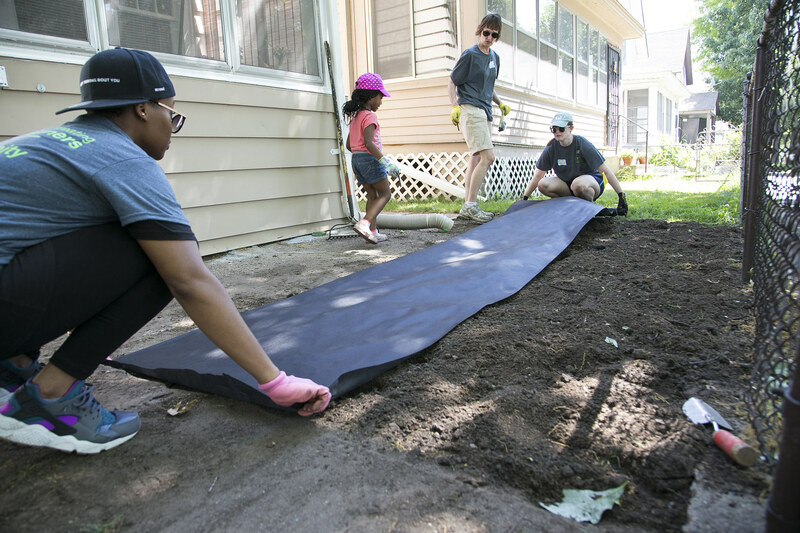 And we expanded our partnerships, working in conjunction with several organizations to provide community lending and single family housing development programs in North Minneapolis. The end result of this work was our most impactful year in our almost 40 year history. 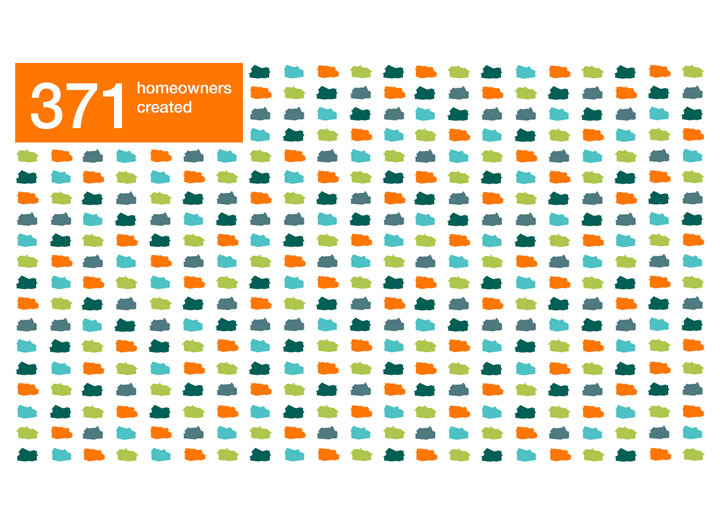 In the last year alone, we helped 371 families achieve their dream of buying a home – more than 1 a day. 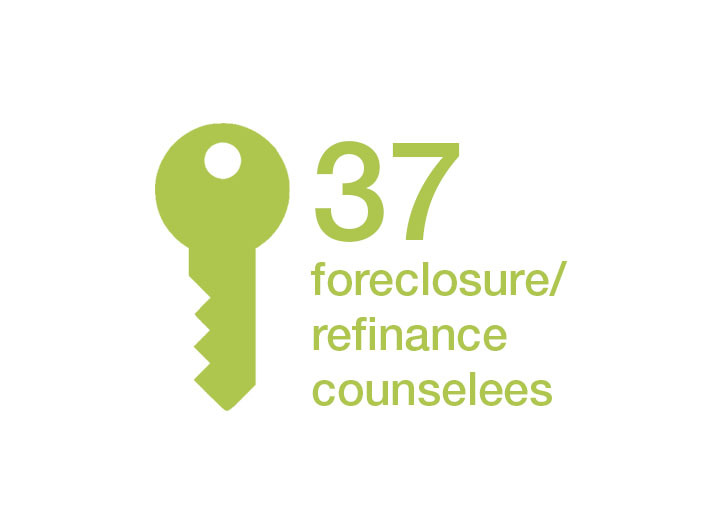 We also helped 54 families maintain their current housing – more than 1 a week. 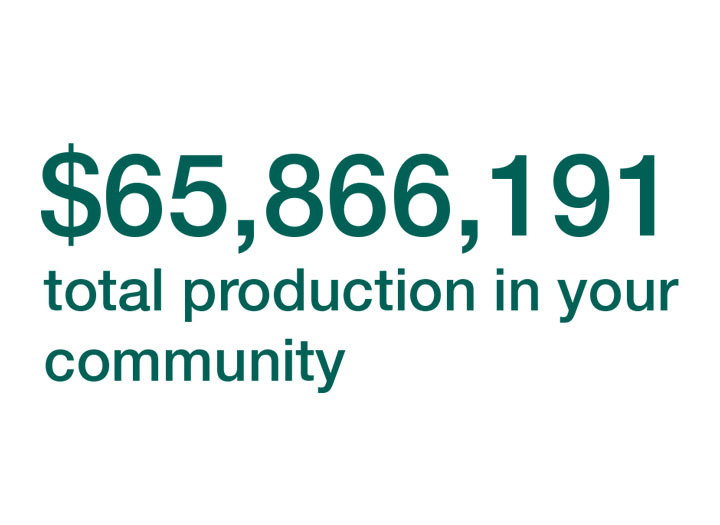 Overall, our work resulted in over $65,000,000 of direct investment into the community. Not bad for a staff of 16. Oh, and as I mentioned – we moved into a new home of our own this year. In 2017, we combined our two St. Paul locations into one, expanding our services at our Frogtown location in the heart of St. Paul, just two blocks from a Green Line stop. 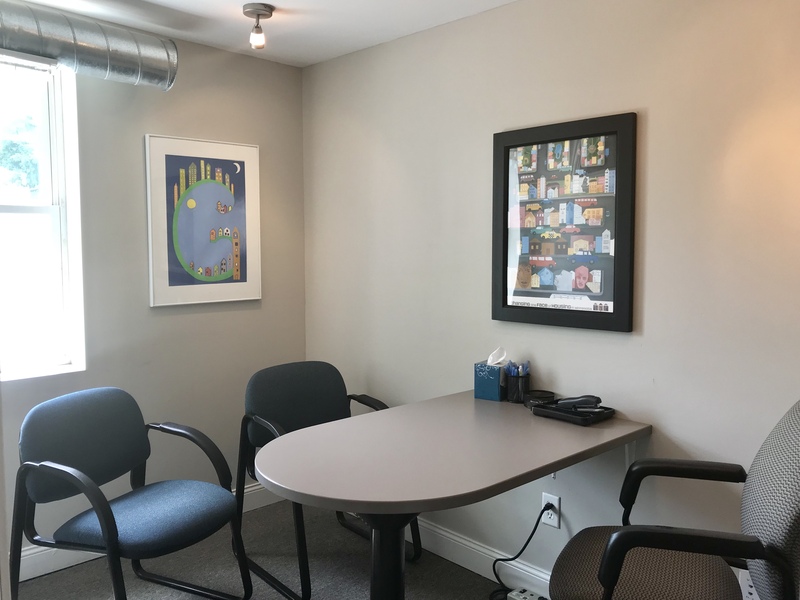 We now also staff an office in North Minneapolis. 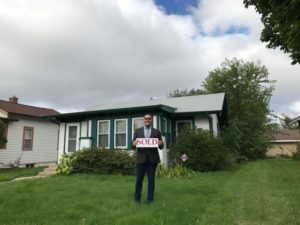 While we have always been available to help homebuyers throughout the Twin Cities, we now offer more choices to meet customer needs on both sides of the Mississippi. Quite a year, indeed. None of this would have been possible without the support from our partners, funders, neighbors, friends and all of you! Thank you! Revitalizing neighborhoods by creating and supporting successful homeownership. Tamara Johnson is a woman with a story to tell. And you can tell from the light in her eyes, and the smile that blooms across her face, that the story you’re about to hear is a fairy tale. It has all the elements: an innocent beginning, true love, bravery in the face of a threatening villain, and, of course, the happily ever after. 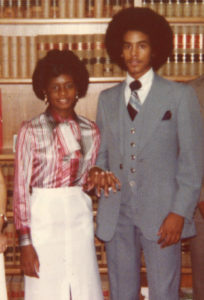 Tamara and Richard grew up in Saint Paul’s Rondo neighborhood, and their lives were intertwined from the beginning. 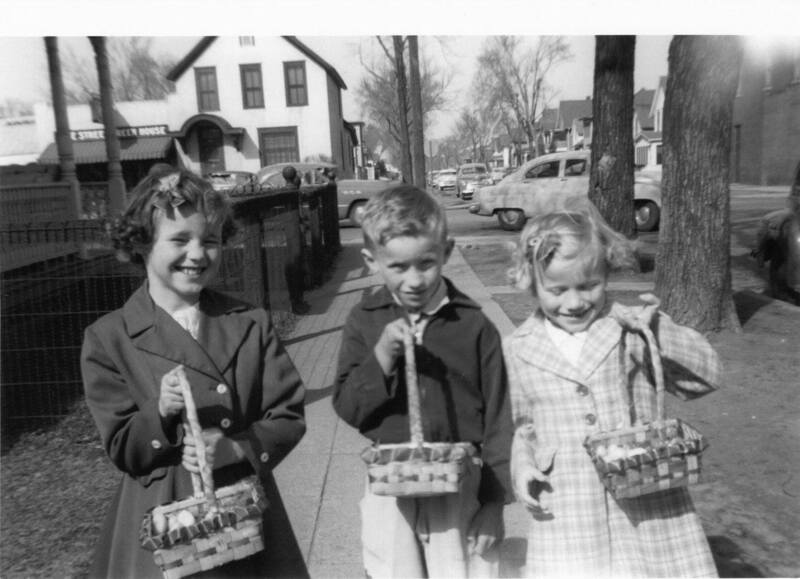 As toddlers, they both attended the same daycare at Univac, where their mothers worked, but they were too young to have memories of it. Later, when Tamara was a tween, she was riding in a car and saw Richard on the street. She told her aunt, “I’m going to marry that boy!” And she was right. 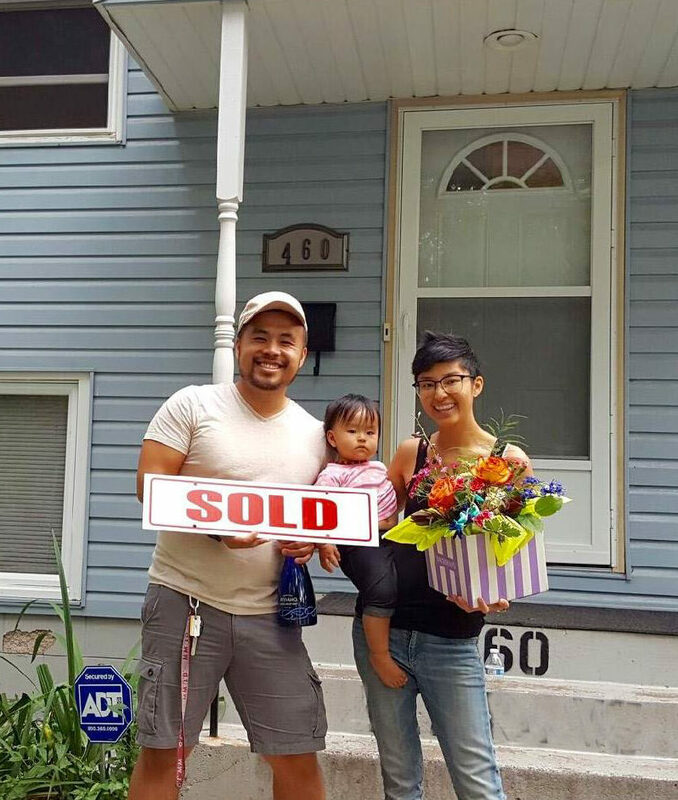 The young couple purchased a home in the neighborhood and made it all theirs. 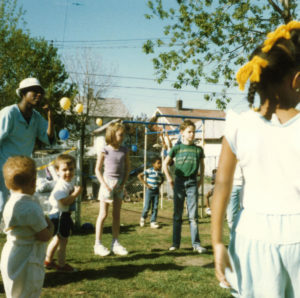 It was a place to raise their family and invite friends and neighbors for birthday parties and barbecues. 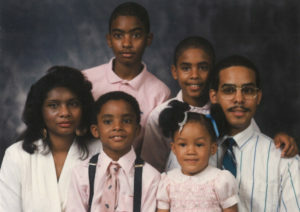 They welcomed three sons, and later a daughter through foster care and adoption. The home was open to all. 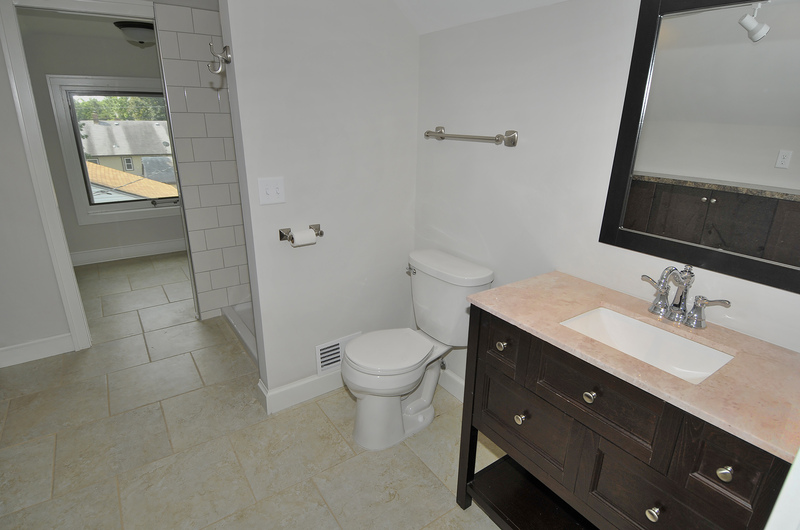 Richard, a carpenter, had a knack for major home improvements that were sometimes a surprise to his wife. 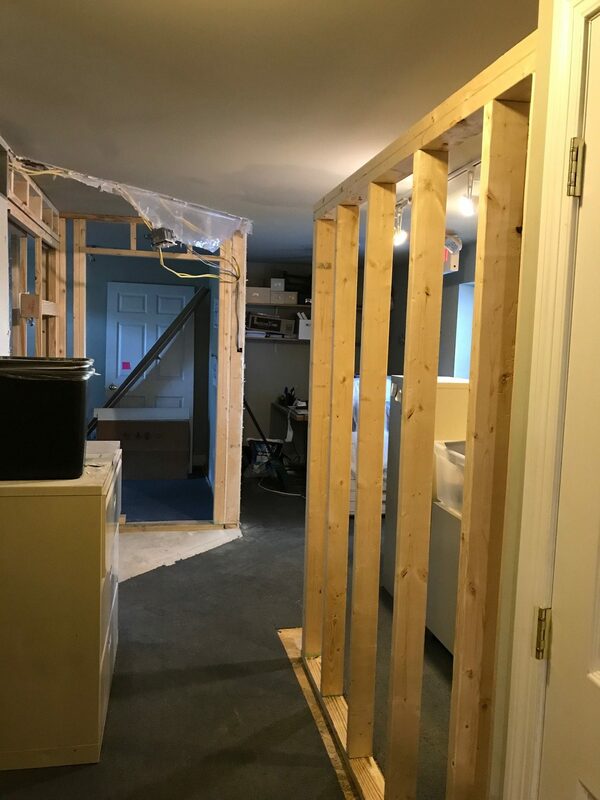 She came home one day to find the floor missing in the kitchen, where he was re-routing the basement staircase to change the traffic flow on the first level. These were no ordinary DIYs! Life seemed idyllic until one morning when the Johnsons discovered graffiti on the side of their family van. When the police came to take a look, the officer nodded toward their growing boys and said that gang members in the neighborhood were probably targeting them, possibly for recruitment. This changed everything. Within weeks, the Johnsons had packed up their belongings and left their beloved neighborhood, moving to an apartment in the suburbs where they prayed that their boys would be out of the reach of gang members. And again, Tamara was right. Her children thrived and were safe. Though it was painful to leave the house they had worked so hard to make their own, she knew that home was more than a building – it was where her family was. With her children raised, and now blessed with grandchildren, Tamara and Richard felt a call to come back to the city where they had their roots. They’d held on to their first home for several years but had eventually let it go, and now were starting over on homeownership. They found an adorable bungalow in Frogtown, not far from their childhood homes and just a few blocks from where their son now has a popular barbershop. It was just the kind of home that Richard would love – something that needed just a little attention, where he could use his carpentry skills to make it shine. And it was affordable, too. But they would need a down payment to make it theirs. NeighborWorks Home Partners was able to give them the boost they needed with a down payment through the NeighborhoodLIFT program, and their happily ever after is happening now, just down the road from our main office. And the story isn’t over. Tamara stops by from time to time with her grandchildren in tow, just to say hello. 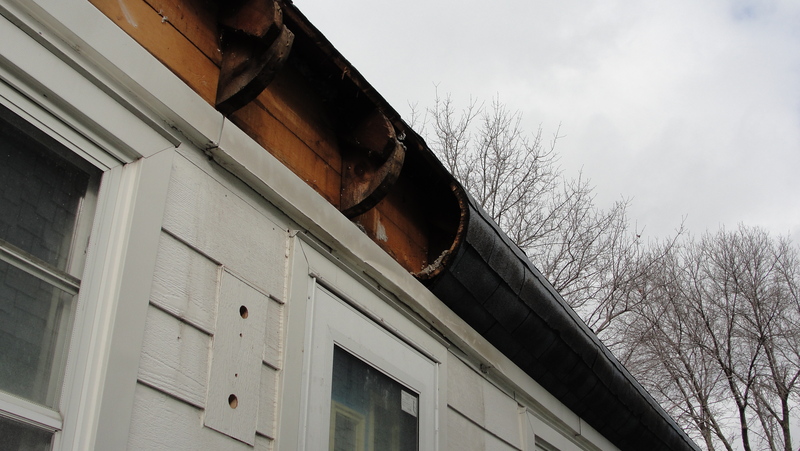 On one of her visits she learned about our home improvement options and is now in the process of getting her windows replaced to remove a lead poisoning hazard and putting a new roof on the house. It’s an honor for us at NeighborWorks Home Partners to know that we’ve helped this family achieve their dream again, building a place of celebration for future generations. 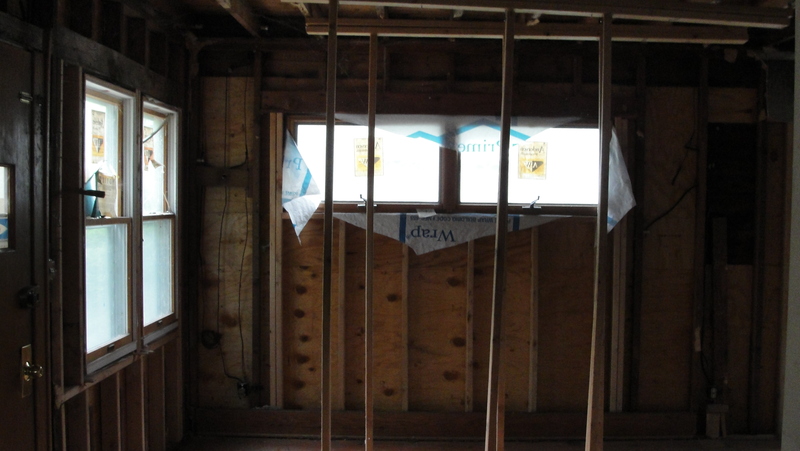 Our Development Team rescues a condemned house and creates a beautiful home for a couple starting out. 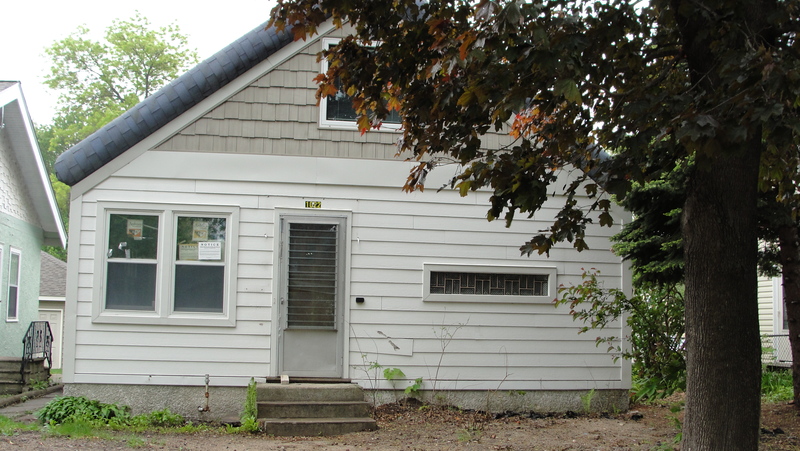 The situation was dire for the little bungalow on Minnehaha Avenue. They city had issued a demolition order and time was running out. 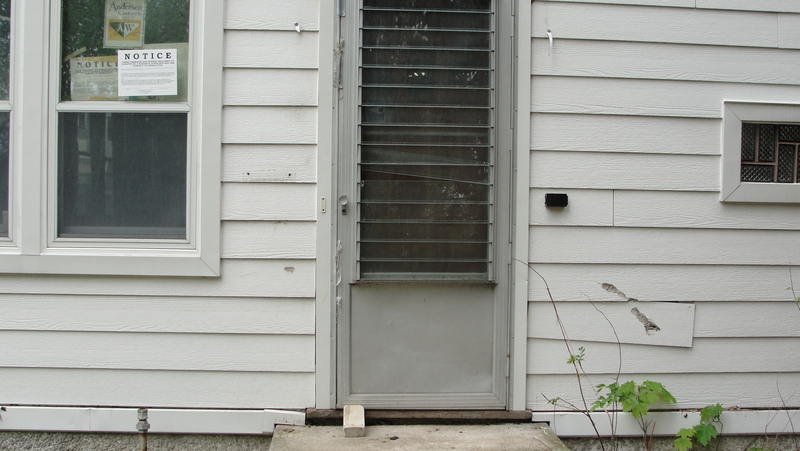 The home had more than its share of problems and was unsafe, unsanitary, and unlivable. The owner, who was living elsewhere, didn’t have the resources to make the extensive repairs and remove the excess rubbish, overgrown vegetation, and feral animals and pests living in the garage. 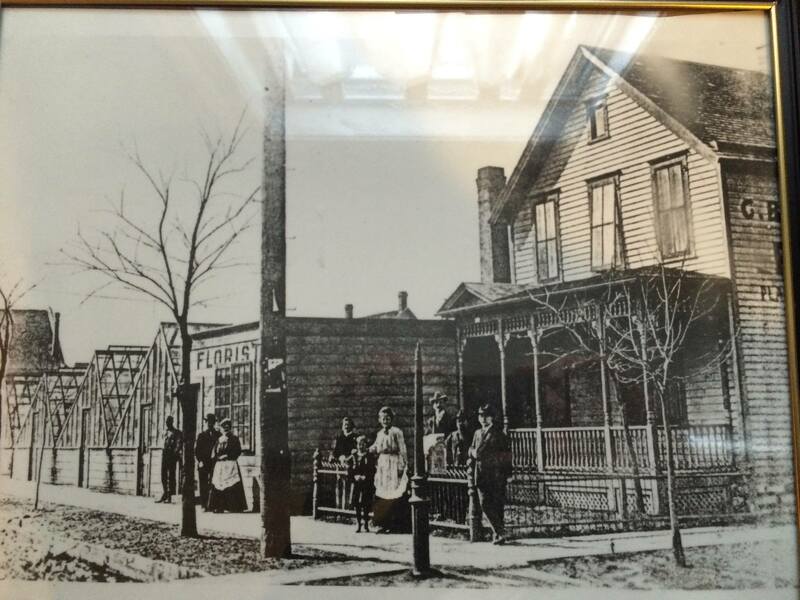 Neighbors had been patient but were suffering the negative effects of the property’s condition. 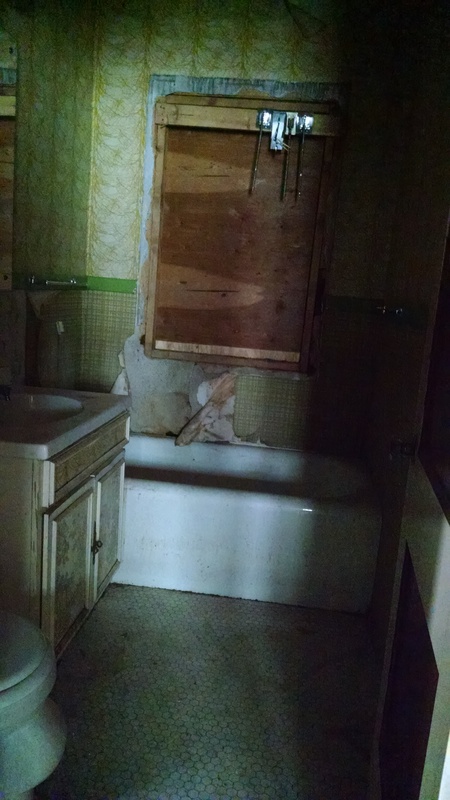 The homeowner connected with us and together we found a solution. In an agreement that was beneficial for all of the parties, the homeowner decided to donate the house to our development department. We were able to make the necessary repairs and literally bring the house from the brink of destruction to new life as a neighborhood gem. 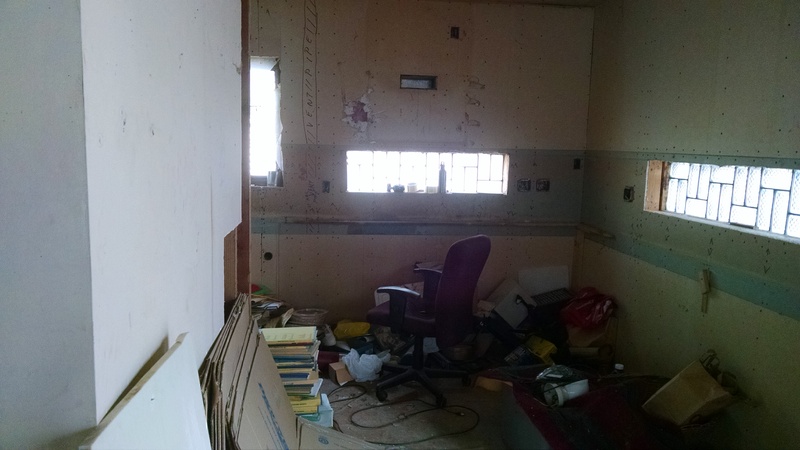 The interior of the home was completely gutted. 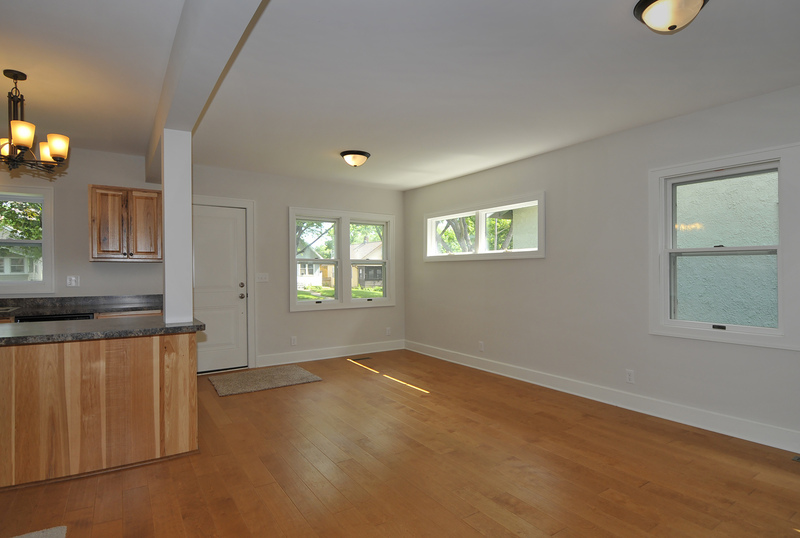 With the walls opened up, the floor plan was opened up as well to include a bright kitchen and connected dining and living room spaces. 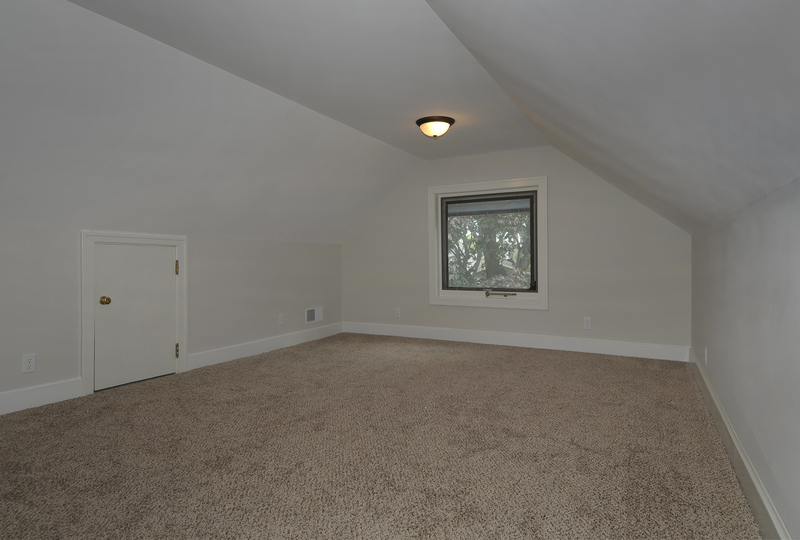 A master suite was created on the second floor with a generously sized bathroom and walk-in closets. 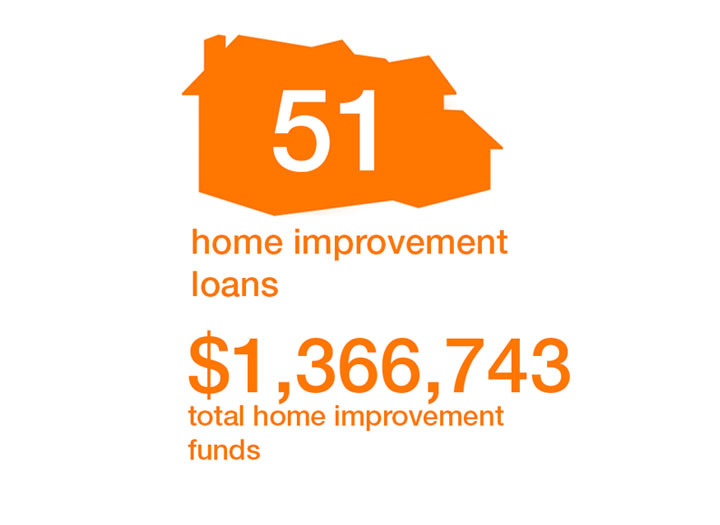 Materials donated by Home Depot were used in almost every room – cabinets, flooring, light fixtures, and carpet. A unique roofing situation (blue shingles wrapped around the edges in the style of a thatched roof) was updated to a more traditional look. 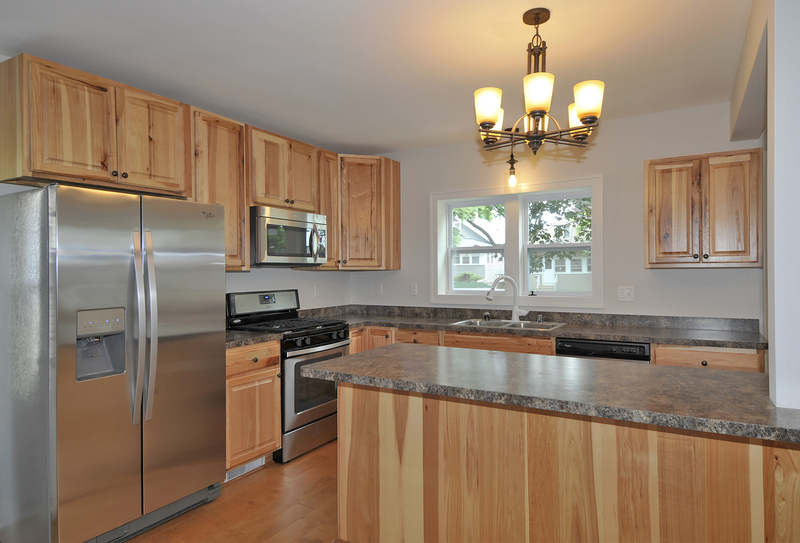 Updated, energy-efficient appliances and mechanicals were installed. And teams of volunteers cleaned up the yard to clear out weeds and give neglected lilacs a long-overdue pruning. Once complete, the home was listed for sale and purchased by a young couple just embarking on their careers as a social worker and special education teacher. They couldn’t be happier with their new home, and eagerly tell others the tale of its salvage and restoration. A little NeighborhoodLIFT takes a dream to reality. 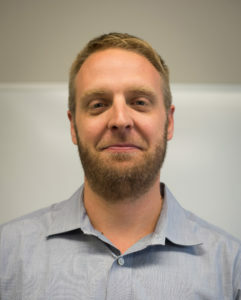 “I had been thinking about looking to buy a home for a few months. My finances were in order, my credit had gotten better. 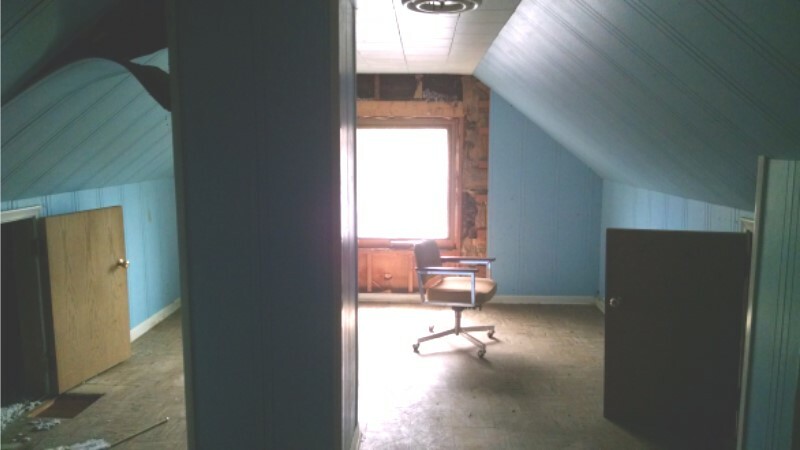 I was tired of renting, and started thinking that I, too, could own my own home. My parents paid off their mortgage in 2009, and have been great examples to me in homeownership. 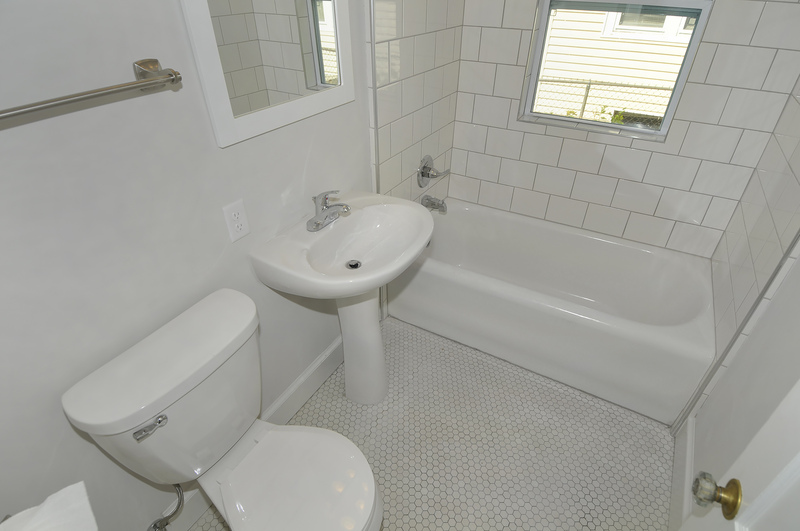 “I found a home that inspired me to connect with a real estate agent. My agent connected me with a loan officer, who from our first conversation, encouraged me to apply for down payment assistance with the NeighborhoodLIFTProgram. He added that because it was such a popular program, funds don’t often become available; he told me to be vigilant and once I had an accepted offer, to apply. “I knew walking into the first house my agent set an appointment at that I had found “the one”: a 1917 bungalow with hardwood floors, amazing character, and the perfect yard for entertaining. It felt like home and my agent even commented on how my face lit up when I walked in. I’m also now in a community that I’m excited to be a part of, and have neighbors I’m grateful to call friends. 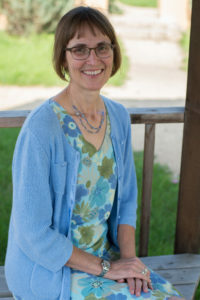 Almost every job description contains those four words that seem so innocuous: “other duties as assigned.” When Beth Hyser joined us as Resource Development Manager in 2015, she expected to spend most of her time writing grant proposals and developing new relationships in the community. But her arrival also coincided with the launch of organization-wide initiatives through NeighborWorks America, and Beth is the type of person to roll up her sleeves and take on new challenges. 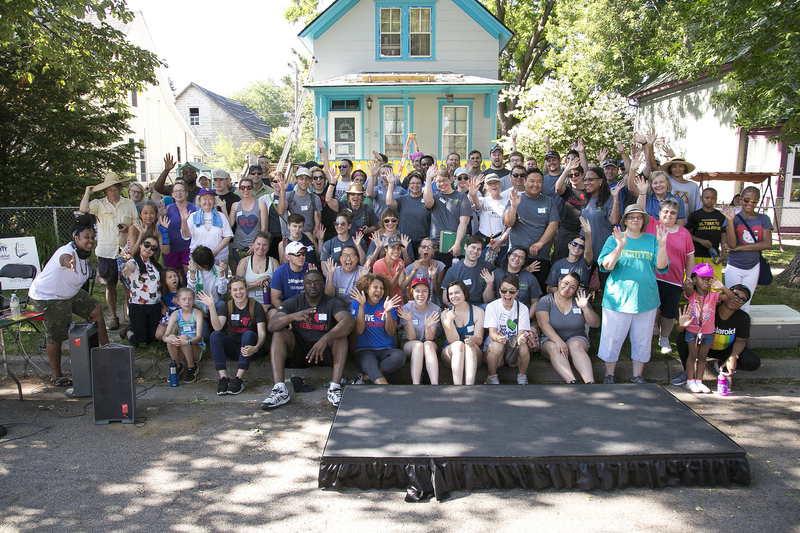 So it is that she ended up leading NeighborWorks Home Partners through transformation and teambuilding that have changed the way we approach our work and expanded our capacity to serve our communities. 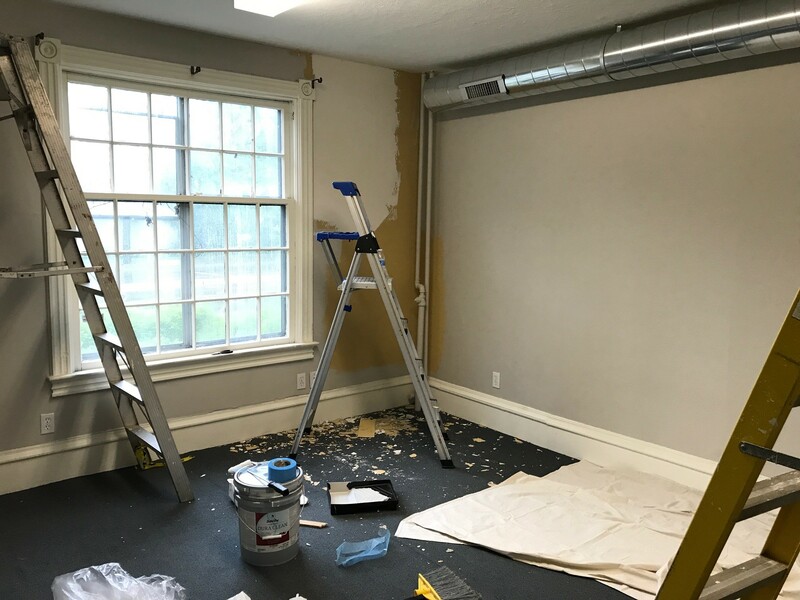 NWHP was participating in NeighborWorks’ Sustainable Home Ownership Program (SHOP) at the same time we were receiving technical assistance for Operational Efficiency. This meant simultaneously studying delivery of customer service and understanding how to make our operations lean with minimal waste. Our staff grew to expect exercises at our staff meetings, usually with post-it notes involved. We delved into every little aspect of operations (What is the best location for the copier to reduce wasted time and steps? How should we manage the ordering of supplies? Why do we have so many paperclips?) But we were also were able to zoom out to the big picture of why we exist and who we are here to serve. 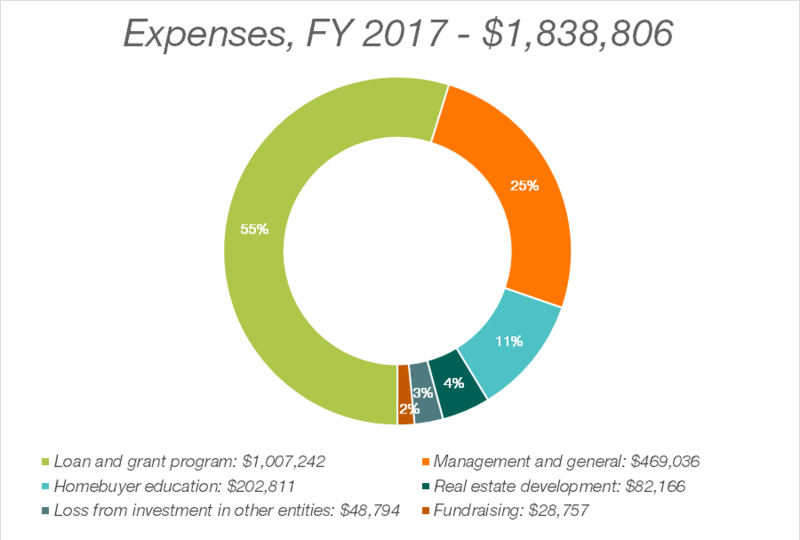 By the end of 2017, NeighborWorks Home Partners had a much different look. 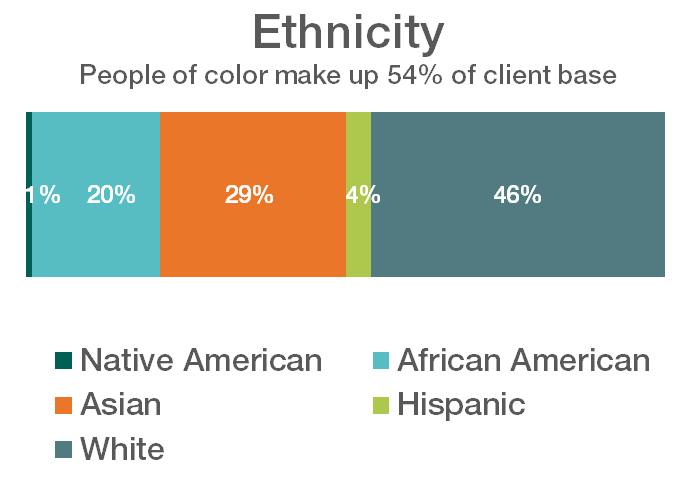 Internally, we shifted our language and focus to think of the people we serve as customers rather than clients. 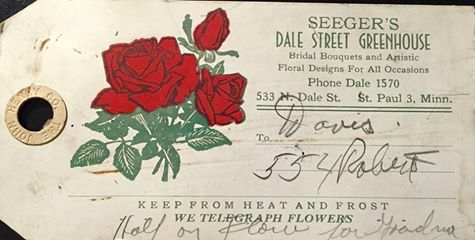 Technology was incorporated to streamline customer service. 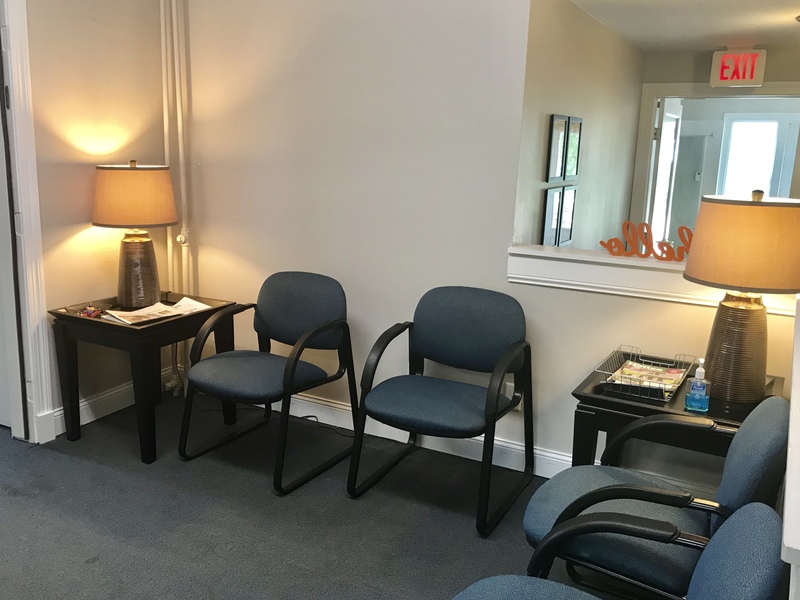 A new website was launched to make it easier for customers to engage with our organization and manage their own documents and appointments. And our organizational structure changed as well. Not surprisingly, Beth found herself in a position to take on another challenge and is now leading our service delivery staff as the Chief Program Officer. We can’t wait to see what she does next. 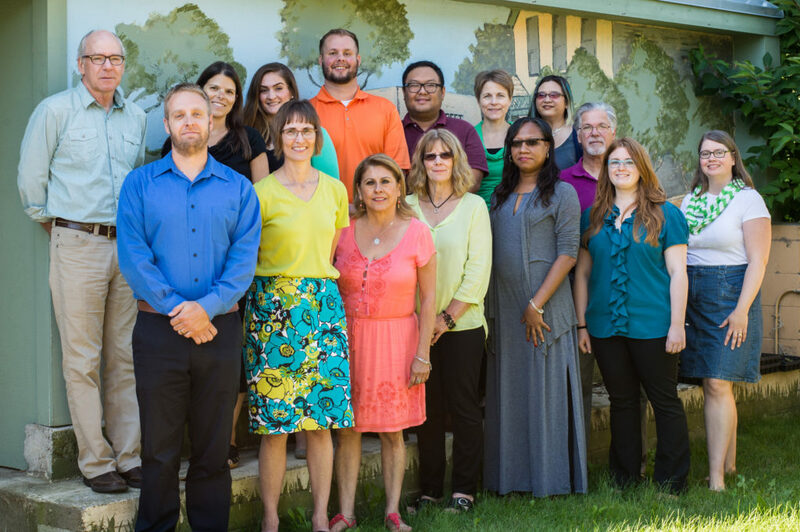 All of our housing counselors at NeighborWorks Home Partners have extensive training and certification through HUD and NeighborWorks America that equips them to provide valuable advice to our customers. One thing that can’t be achieved through training is a passion for helping others. 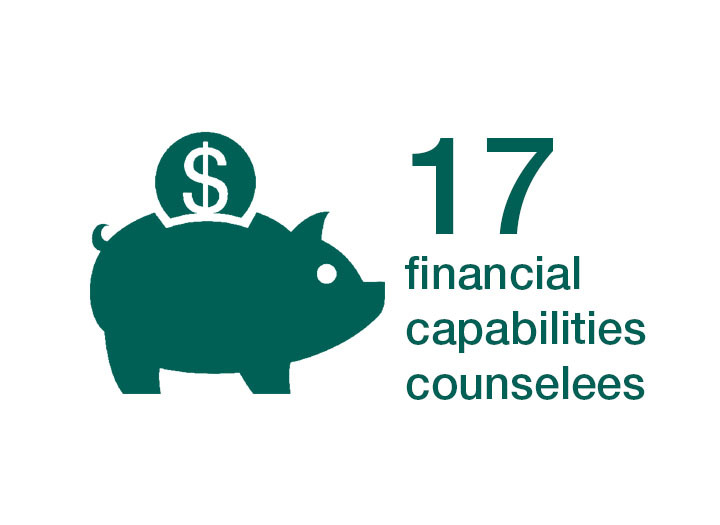 Thankfully, all of our advisors have big hearts for our community. Nick Yang is one example. 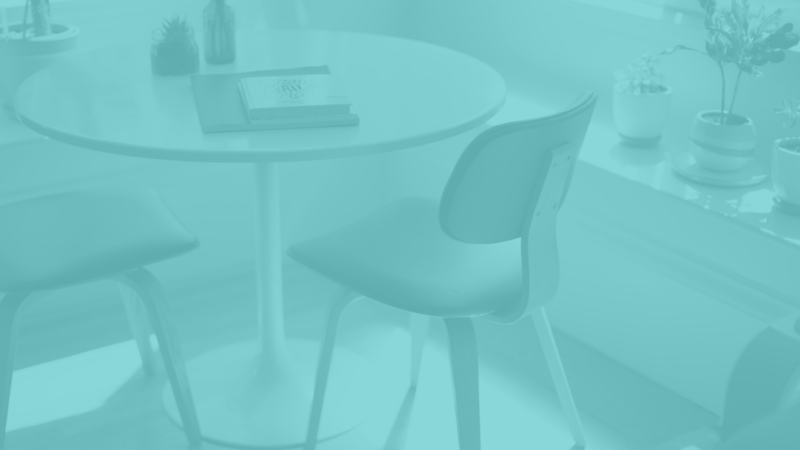 Q: How did you decide to become a homeownership advisor? A: I wanted to help people, but I thought it would be in a different role! 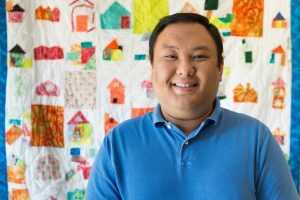 The job I was hired for after I finished my bachelor’s with a major in Psychology was a newly developed Program Coordinator position for Mental and Chemical Health Services at another nonprofit. Right as I started, the organization’s Housing Services department experienced a complete turnover of all four of their staff. As a result, I was put into that department to complete a small side project until the position I had originally applied for was fully developed. As it turned out, I was good at it! 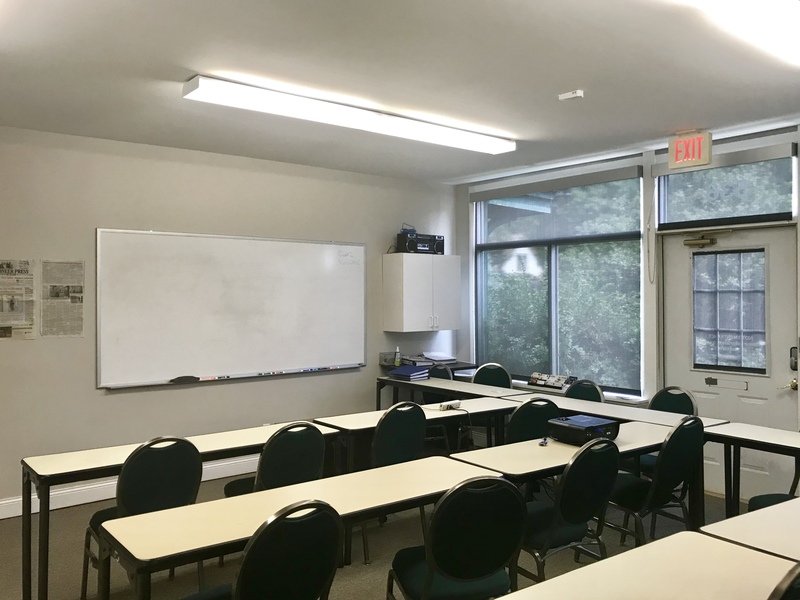 I completed all the projects that I was tasked with, and after a month I was fully transitioned into the Housing Program Coordinator position. I’ve always believed that things happen for a reason. Although I was thrown into this line of work, I’ve grown to really enjoy the work that I do. Q: What are some of the rewards of being a homeownership advisor? A: In this role, I have met a lot of non-English or limited-English speaking families who have come through the process and it has been rewarding to see them achieve the “American Dream” of homeownership. Even for those who chose not to go through the homebuying process, they have shared that they feel more empowered to manage their finances and have become more financially stable. Q: What are some of the ups and downs of your work? What’s the toughest challenge you face? A: The biggest challenge in our community that I see right now is the lack of affordable housing. 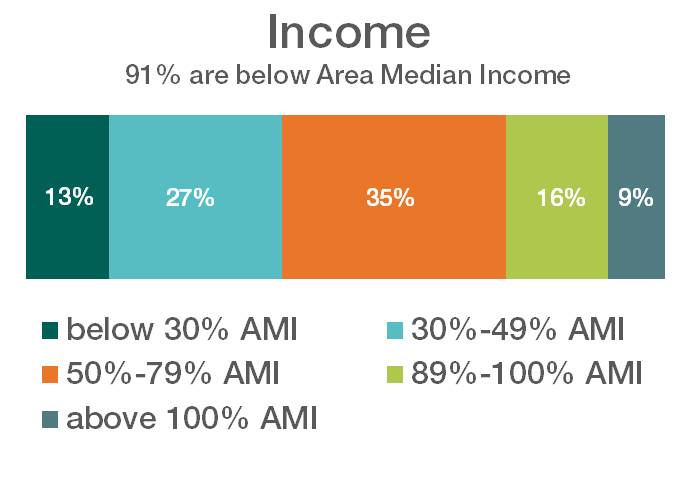 It’s hard to see customers who are low income work hard to get ready for homeownership, only to hit another barrier that prices of homes right now are too high and that there is too much competition for those homes that they can afford. 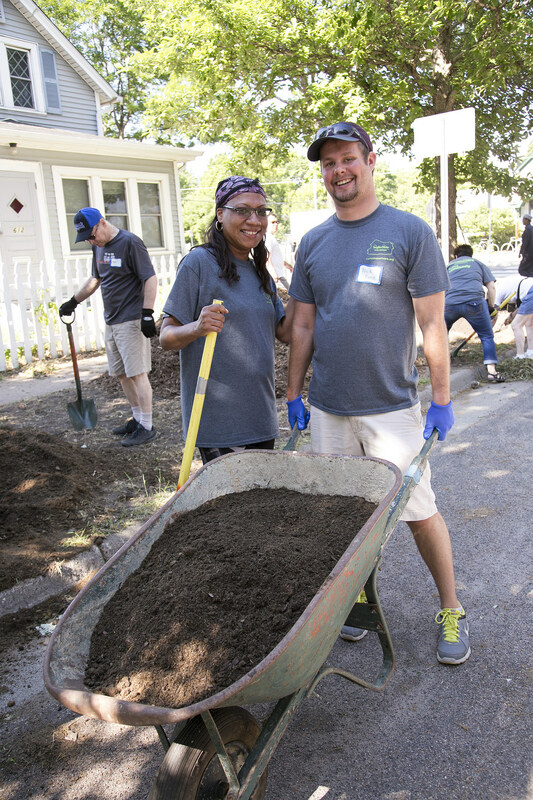 Q: What do you value about working at NeighborWorks Home Partners? 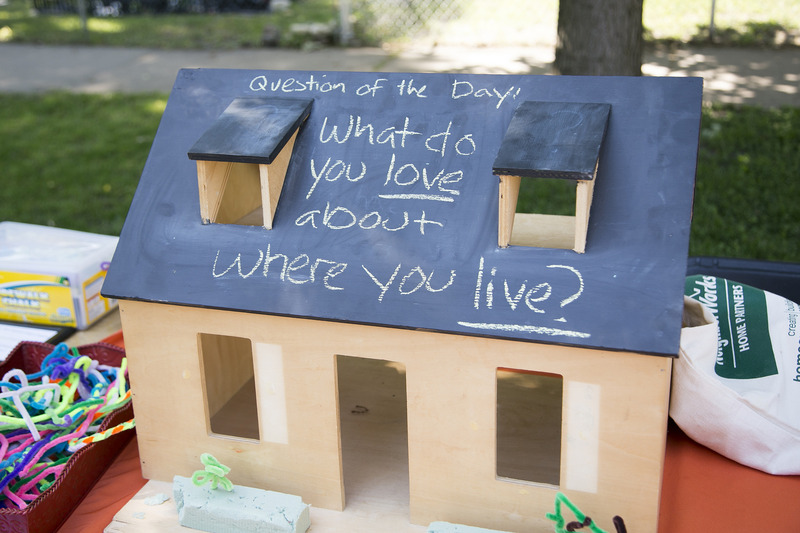 A: We have comprehensive housing services, from down payment to home improvement to housing counseling and education, so we can serve people in any stage of homeownership. I also appreciate that our ED and board listen to the staff who work most closely with our customers so we can be responsive as an organization to the needs of our community. Weddings. Anniversaries. Prom. Funerals. 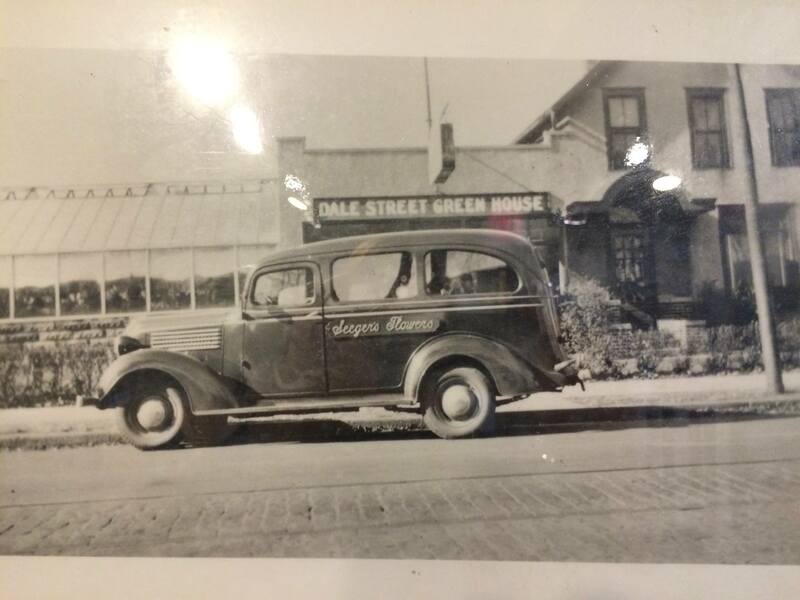 For generations, the white house at the corner of Dale and Charles was where people in Frogtown and beyond came to mark the special and significant occasions in their lives with flowers from the greenhouse – first Bussjager’s, then Seeger’s, and finally the Dale Street Greenhouse owned by Barb Stromer. 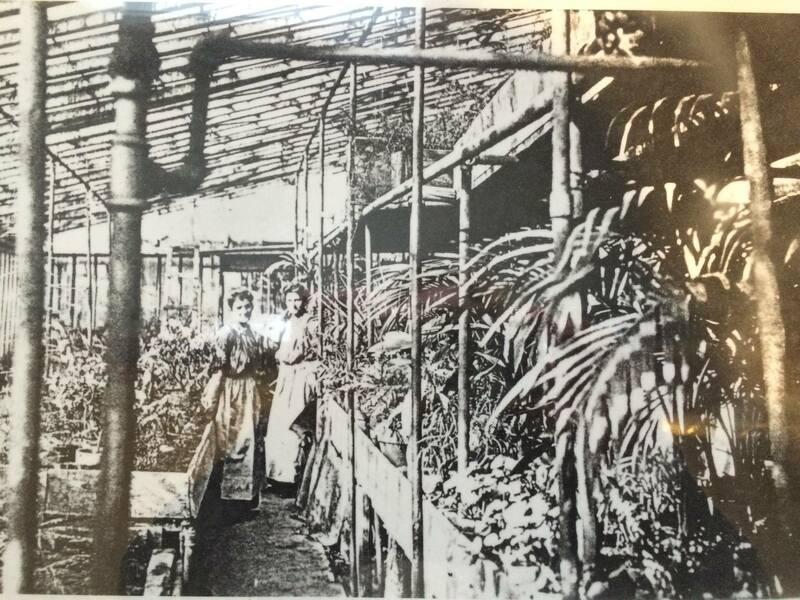 The greenhouse was converted to office space after closing in 2006, when it had been in continuous operation as a flower shop for 110 years. This Frogtown landmark became our home in the summer of 2017 when we consolidated our offices in this single location. We are happy to be together in a central location that is more easily accessed by a greater number of our customers. And there’s something special about doing our work from within a building first designed to be a home. 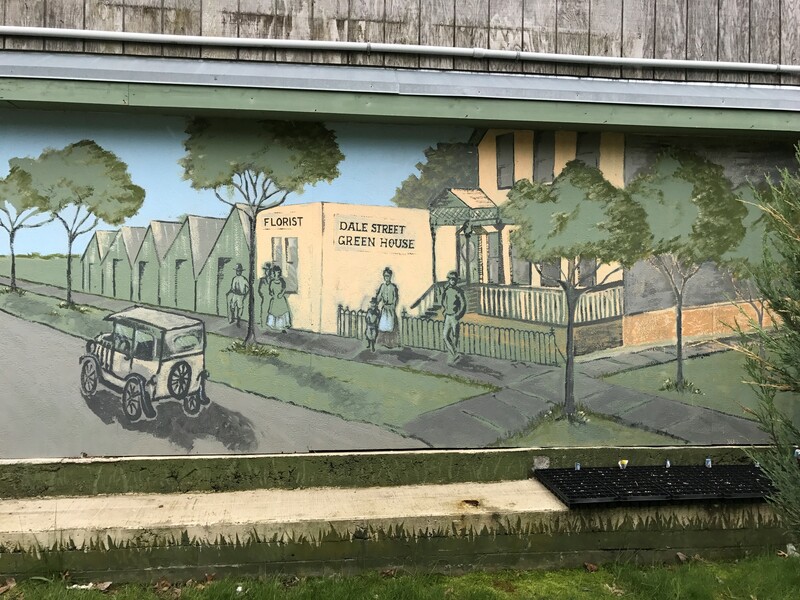 We are remembering the history of this property by naming our conference rooms after the three long-term owners and operators of the greenhouse, and we maintain the former greenhouse site as a garden that is shared with the community. We know that this building has an important place in the nostalgic memories of Saint Paul, and are honored to continue being a site of significant life events. Becoming a homeowner can be a momentous experience – one where families put down roots and build wealth and financial security that can have impact for generations to come. 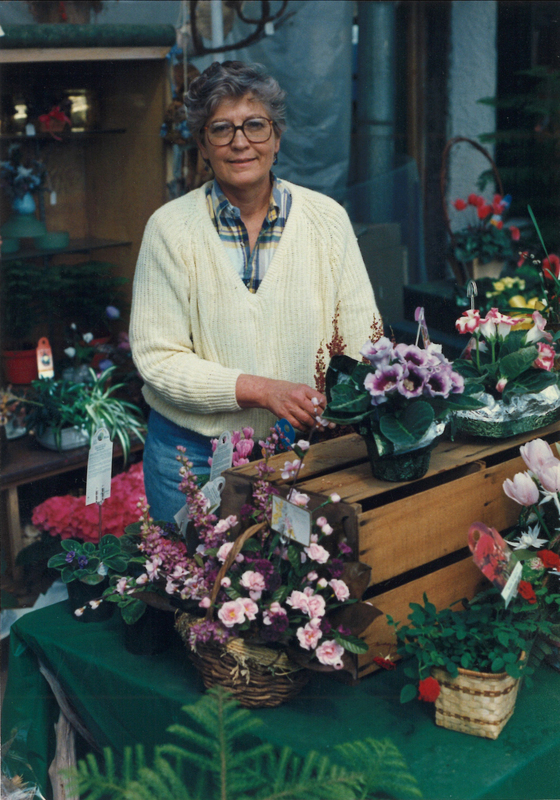 Barb Stromer was the last operator of the greenhouse. NeighborWorks Home Partners staff after our move to our new office. 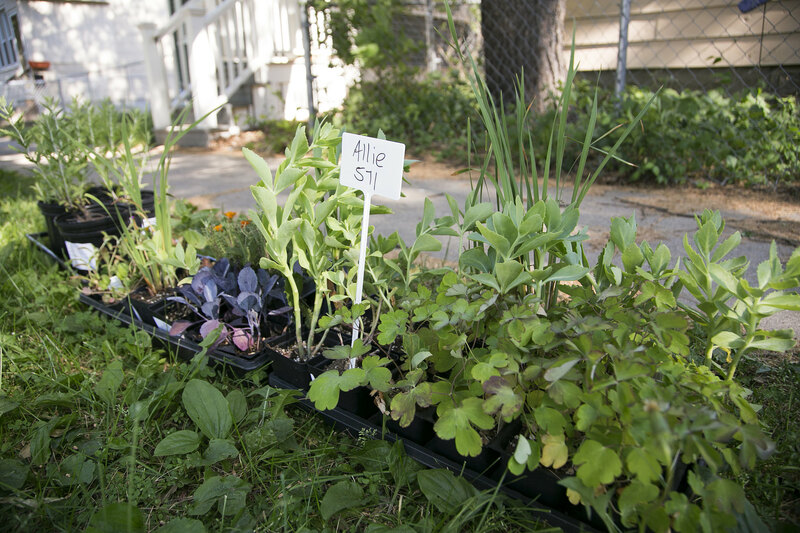 The vegetable gardening area at our Dale Street office has been a summer garden site for the nonprofit YouthFarm for three growing seasons. 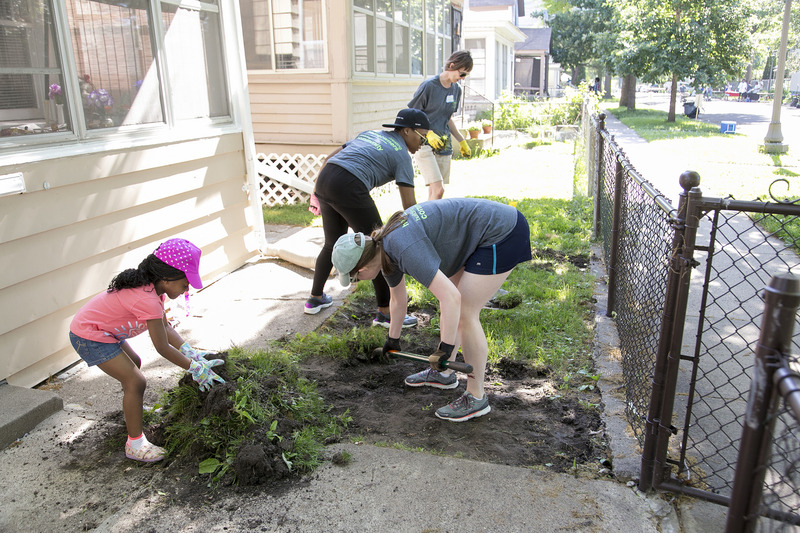 It is a natural partnership for our organizations, making use of our greenspace and helping youth in our neighborhood connect literally with their community. 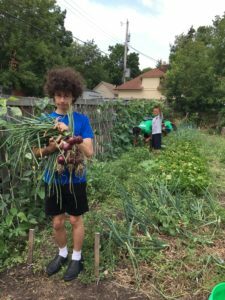 Youth Farm participants are active in their community, biking to neighborhood garden sites to tend to their vegetables, and then preparing a meal based on the produce they harvest each day. 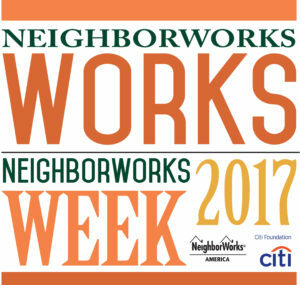 Every year in June, we join with organizations nationwide to celebrate NeighborWorks Week. 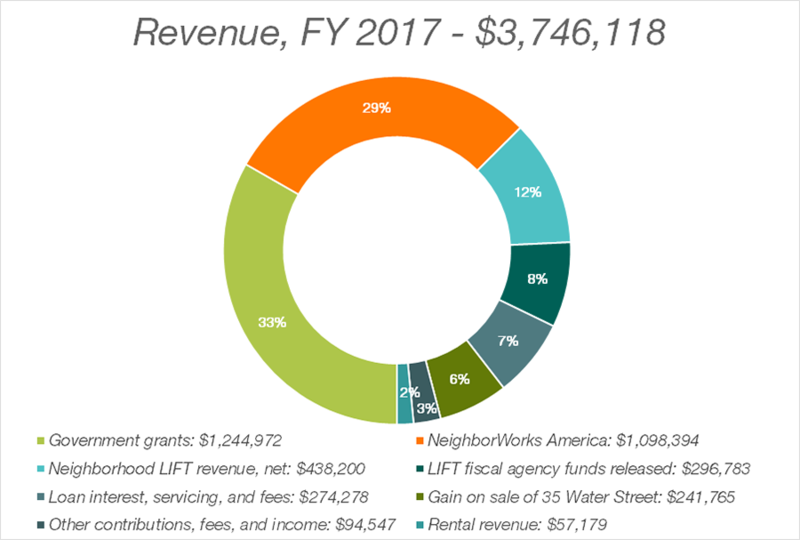 In 2017, we narrowed our focus to a single block in the Frogtown neighborhood. 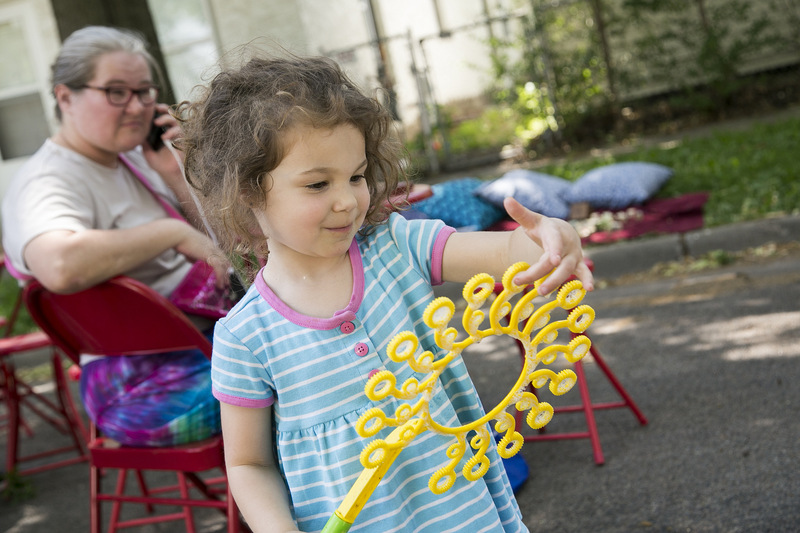 In partnership with Twin Cities Habitat for Humanity, Frogtown Neighborhood Association, and Historic Saint Paul, and led by community residents, we examined how concentrating and combining resources could allow everyone involved to maximize impact. After nearly a year of creative and responsive planning, we celebrated with a kick-off party for the entire block, knowing it was not the end of the work but the beginning of new relationships. Habitat for Humanity brought volunteers and materials for their A Brush With Kindness program to make repairs to three homes on the block. 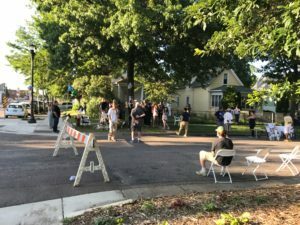 Historic Saint Paul offered advice on preserving significant details, and a local historian led a walking tour to teach about the history of the homes. NeighborWorks Home Partners staff and board members worked together to plant new perennial gardens in the boulevards and front yards of ten homes. 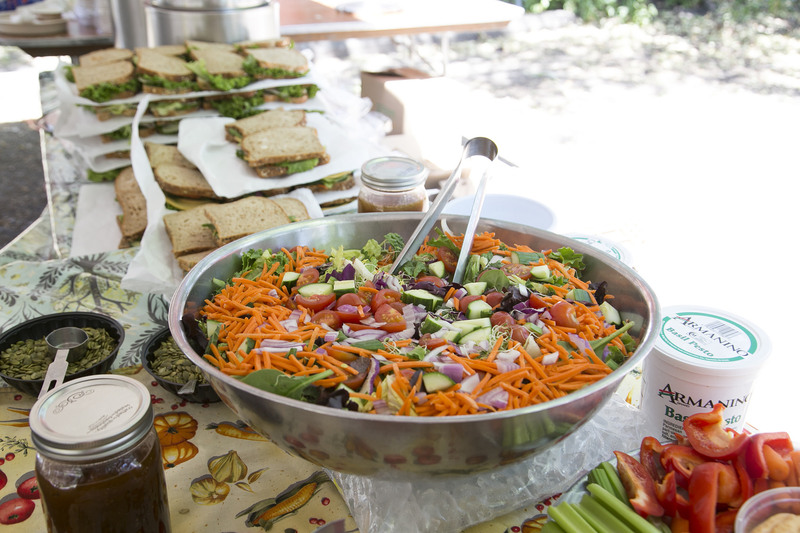 The day was filled with music, fun and games, a resource fair, and culminated in a delicious and nourishing organic community meal. 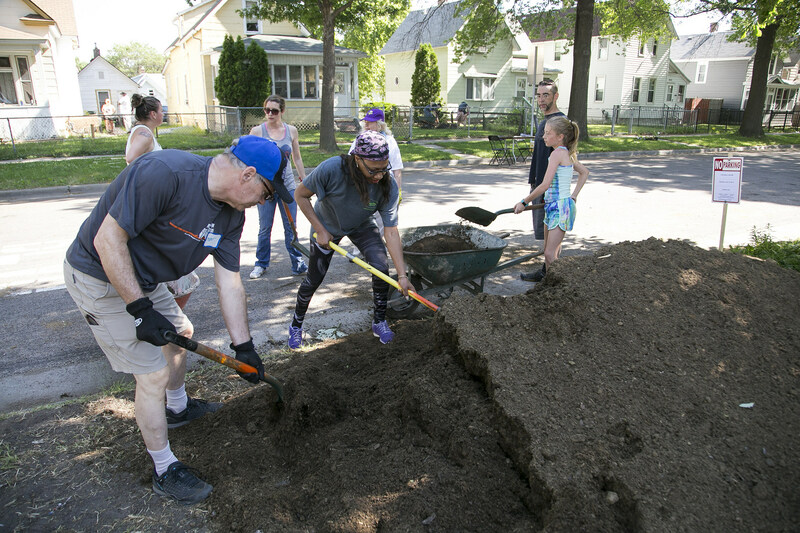 Two residents, Kiki and Judy, worked tirelessly together to connect with their neighbors and create a celebration that they felt would honor everyone on the block. 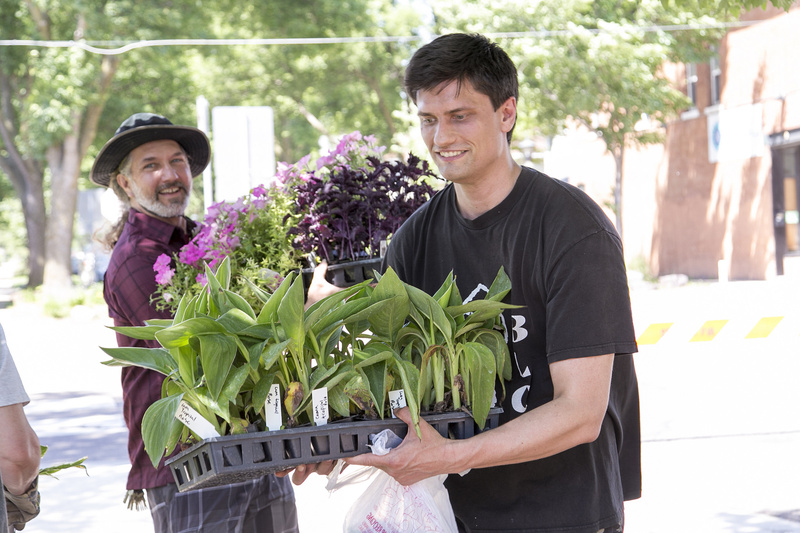 They attended planning meetings, grew their vision for their neighborhood, and delivered numerous rounds of fliers to help their neighbors know what was going on, knocking on every door to have a conversation and recruit more participants for the gardening. Kiki reported that her new garden had a bigger impact than she expected. 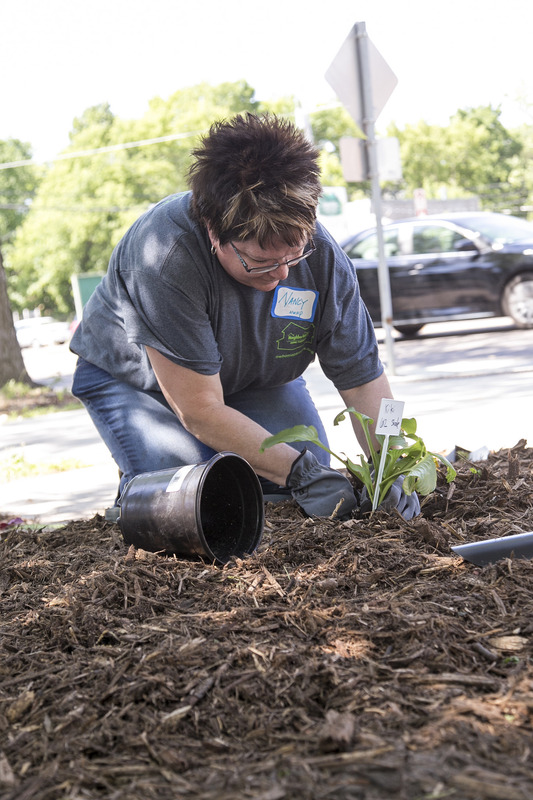 More than just adding greenery to her boulevard, she found it was a conversation starter and helped her meet more people who lived nearby. 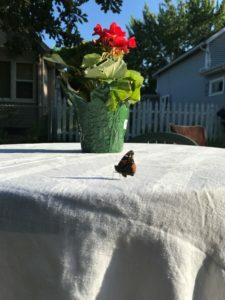 Just by being outside in the evenings to water the plants, she was able to foster the growth of friendships and community. 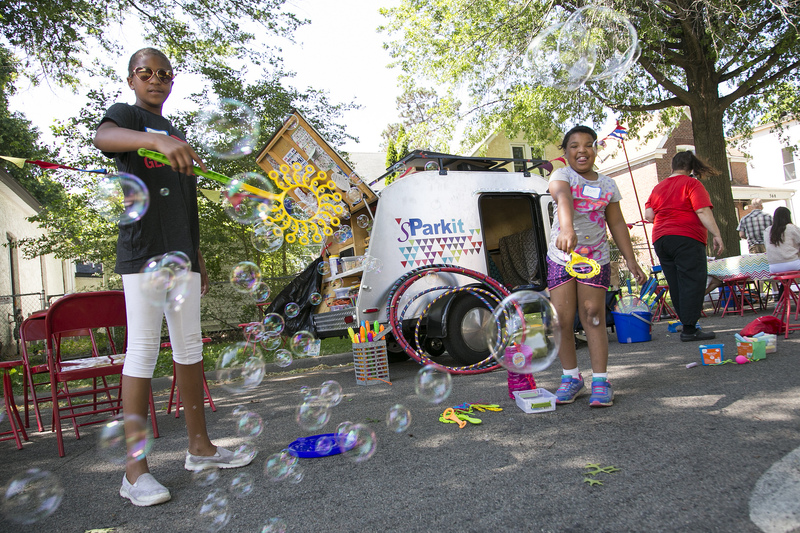 Shortly after our NeighborWorks Week festivities, the neighborhood was rocked by a tragedy when a speeding car went airborne and crashed through a city bus. Kenneth Foster, a father of six who was a passenger on the bus, was killed in the accident which took place at the intersection of Dale Street and Charles Avenue, the same block that had hosted the celebration just weeks earlier. Neighbors ran to the accident site to offer assistance, and in the days and weeks that followed they returned to grieve. Kiki and Judy, who had grown in leadership through planning the NeighborWorks Week event, came together again to plan a community memorial service. 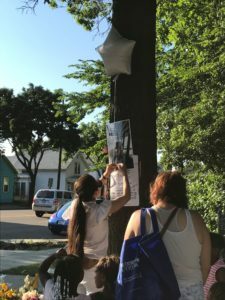 The same organizations who had sponsored the June event provided resources and support so that the community could gather again to remember Mr. Foster and, through tears this time, honor the bonds they had formed. Every day we help another homebuyer become a homeowner. 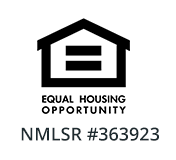 You can be an important partner of this exciting and important work – making homeownership opportunity available to all, strengthening communities, and helping people stay in their homes – by supporting us with a one-time or recurring donation. Please join our supporter list by making a gift today.